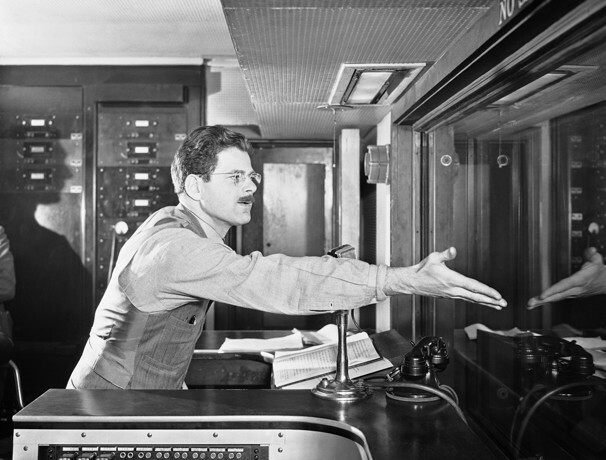 Hub Man Dies in L.A.
Norman Corwin, a Boston native who was not as well known here as he deserved to be, has died at the age of 101 after a long career in radio. Corwin, whose life spanned the birth, rise and decline of radio as a medium for serious popular drama, was a writer, producer, and director. The L.A. Times, which has the longest version (typical). Includes a photo gallery. The New York Times, which includes some useful links. The Washington Post, which also includes a photo gallery. And NPR, which carries on the best traditions of American radio more or less alone, also has several sound galleries where you can hear Corwin or his works.